We at Paste believe in escaping the malaise of everyday life, especially these days (in case you haven’t heard, the world’s going to crap). So we’ve compiled a list of films that not only whisk their characters away on an adventure they’re not likely to forget, but also provide a compelling couple of hours with drama, tragedy and a little bit of comedy thrown in for good measure. And the best part is, you don’t have renew your passport to go on any of these adventures. The only thing that needs renewing is your Netflix membership. Here, we have the fateful trip of a doomed ship in the Atlantic, a writer who finds that the streets of Paris are more magical than they appear and an oceanographer hellbent on revenge after his friend and business partner is eaten by a Jaguar Shark. So basically, we’re all across the board. We all remember young love. We’d do anything for it, even run away from home. In Moonrise Kingdom, Sam and Suzy do just that. Set on a strange New England island, Wes Anderson fills the frames with his usual cast of odd characters that flesh out a truly innocent story. Once Sam and Suzy flee their respective lives, the entire town, including Sam’s Boy Scout troop and Suzy’s family, set out to find them. James Cameron’s epic depiction of that fateful night when the unsinkable ship, well, sank is a large, bombastic and spotty masterpiece. It’s got problems, but it’s a James Cameron film. It’s centered on the fabled relationship between Jack and Rose, two star-crossed lovers from different class systems, and the fact that they’re actually on the Titanic is almost an afterthought. Until the ship hits the iceberg, and the real James Cameron film breaks out. Look, we all know that Woody Allen is a troubling figure. But if you can separate the art from the artist, you’ll find that Midnight in Paris is a whimsically lovely film filled with more Owen Wilson “whaaaaowwws” than you can shake a stick at. Wilson plays a wistful writer who walks the streets and travels through time in Paris while on vacation with his fiancé’s family. During his travels, he meets writers like Ernest Hemingway, F. Scott Fitzgerald and T.S. Eliot. It’s crazy. Homeward Bound reeks of the 1990s. From the cutesy plot following a couple of dogs and a cat as they try to get back home to the sweater vests, if you didn’t grow up with this film, you missed out. Starring Michael J. Fox as Chance, Sally Field as Sassy and the sultry voice of Don Ameche as Shadow, this trio could soften the hardest of hearts. And what an ending, right? Watching Shadow come limping over that hill toward (spoiler alert) his best friend hurts so good. A shot rings out in a desert in the Middle East, injuring a woman and sending out a ripple effect that will affect two other families across the world. Babel is about the mysteries and consequences of miscommunication, weaving four stories together over one tragic event. This film is over 10 years old at this point, but it’s just as timely today as it was in 2006. Maybe even more so. In The Road, a father and son move slowly down a long road to find the sea in a post-apocalyptic, desolate landscape. The adaptation for Cormac McCarthy’s incredible novel was a long time coming, and it’s a devastating rendition. Viggo Mortensen plays the ailing and nameless father, who is desperately trying to keep his son safe. There’s a chance they’ll find help at the coast, but there’s no guarantee. Either way, it’s a long, cold walk. Bill Murray owes his late-career boost to Wes Anderson, and Anderson probably owes a lot to Murray as well. 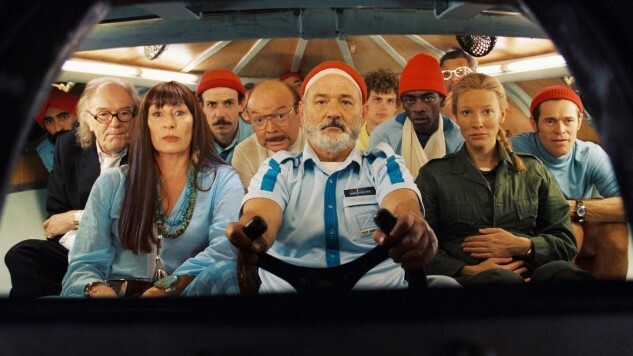 Life Aquatic is a beautiful film about friendship and family, sporting an excellent cast and great music. Steve Zissou is an aquatic explorer whose best friend and partner was killed by the elusive Jaguar Shark, and he sets out to hunt the beast on his boat with his crew, his wife and his possible-son in tow. The music sets this one apart, and it has a really beautiful ending. Lion is the heartbreaking true story of Saroo Brierley, who was separated from his family at the young age of five. Eventually, he was adopted by Sue and John Brierley and went to live in Australia. Over 20 years later, he decides to find his family using Google Earth and attempts to return to his village in India. This is an incredible film with a breathtaking performance from Dev Patel, and one that, frankly, didn’t get enough attention when it was released. Pete Mercer writes for the science, travel and health sections for Paste. Find him on Twitter.